British bookmaker William Hill has returned some of the money that was stolen by an ex-employee of the Dundee City Council and spent on its website. Mark Conway, who was an employee of the council, stole €1 million ($1,250,604) from the Dundee City Council and spent it on William Hill’s website. 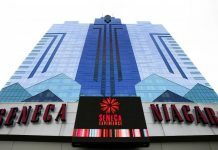 The bookmaker giant paid the council €500,000 ($625,298). According to reports, the former staffer sent money to his personal accounts between the years of 2009 and 2016. Conway, who is also a gambling addict, allegedly used his knowledge of information technology to secretly and successfully move the money. It was last year when the city council revealed a betting operator had made the large payment. However, at the time, no one had been specifically named. Later, after a freedom of legislation request was made, it was revealed that William Hill was the operator. It was also made known that the money from William Hill was an “ex gratia” payment. Although the gambling operator was not obligated to pay the money, there was some speculation William Hill would have been legally instructed to do so by the U.K. Gambling Commission. Some argue that the fraudulent activity perpetrated by Conway could have potentially been prevented. Richard McCready, Dundee City councilmember, expressed his thoughts on the matter. He said that even though the crime was done, William Hill and the council did not take the proper preventative measures. He is not the only one who feels this way. GambleAware, an organization dedicated to helping others gamble responsibly, also says the bookmaker could have stepped in much sooner. 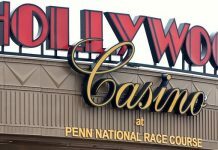 The organization believes Conway showed clear signs of a gambling addiction, and, therefore, William Hill should have noticed them and acted. GambleAware adds it is important to keep a close eye out for potential signs of gambling addiction or any other problems related to the activity. The main sign is typically a person spending an exceedingly large amount of money than he or she would normally spend. Last October, drastic changes were made to betting machines in the United Kingdom. The government proposed changes to the machines because they have been found to contribute to the development of gambling addicts in the country. The terminals will no longer allow patrons to bet £100 ($140) for 20 seconds. The limit will be decreased, from between £50 ($70) and £2 ($2.80). While the government sees the change as a step in the right direction, some completely disagree with the adjustments. A serious gambling epidemic has taken place in the United Kingdom, and it has been going on for quite some time. Huffington Post reports Tom Watson, deputy Labour Party leader, says the epidemic has been going on for too long. He told BBC Radio 4 that gambling addictions have surged “over the last six years,” leading him to believe there is a “hidden epidemic of gambling addiction” in Britain. In the wake of the changes to the betting machines, Watson adds that the change is simply not enough. He says the announced measures will “do very little for those suffering from gambling addiction.” This includes minors who are already facing the risk of becoming addicted to the activity. A consultation was offered for those who wanted to voice their thoughts on the changes. While organizations against gambling argue the machines are contributing to the ever-growing number of addicts, some don’t agree with those claims. It’s quite a tough situation for everyone involved. The fixed-odds betting machines are a great source of profits for some well-known bookmakers and groups. Along with the betting machine changes, further action is underway to help protect minors from becoming addicted to online gambling, as well as other forms of gambling.